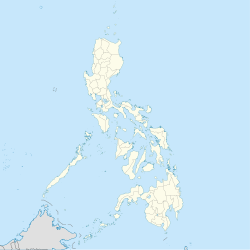 Maconacon, officially the Municipality of Maconacon, is a 3rd class municipality in the province of Isabela, Philippines. According to the 2015 census, it has a population of 4,253 people, making it the least populous municipality in the province. Maconacon is one of the four (4) coastal municipalities of the province of Isabela facing the Philippine Sea to the east. Separated from the rest of the province by the mighty Sierra Madre mountains, it is considered to be one of the most remote and isolated community in the province. The town is bounded to the north by Peñablanca in the province of Cagayan, San Pablo and Cabagan to the west, Tumauini to the southwest, Divilacan to the south and the Philippine Sea to the east. In the 2015 census, the population of Maconacon was 4,253 people, with a density of 7.9 inhabitants per square kilometre or 20 inhabitants per square mile. Maconacon is accessible via sea and air. Its primary gateway is the Maconacon Airport which connects this isolated town to the rest of the province through Cauayan Airport, also in Cauayan City. ^ "PSA Releases the 2012 Municipal and City Level Poverty Estimates". Quezon City, Philippines: Philippine Statistics Authority. Retrieved 28 January 2017. ^ "Maconacon, Isabela: Average Temperatures and Rainfall". World Weather Online. Retrieved 3 November 2015. Wikimedia Commons has media related to Maconacon.